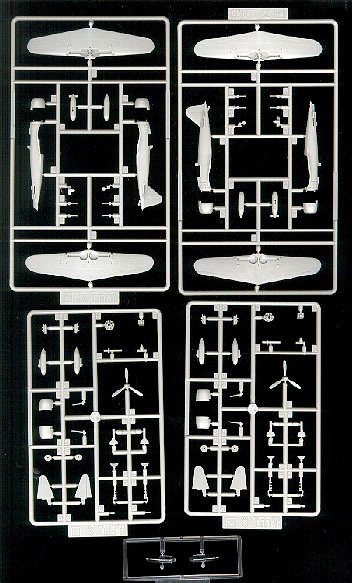 JAPANESE NAVY "Mitsubishi A6M5 Model 52 ZERO Fighter "
Conversion kits!! 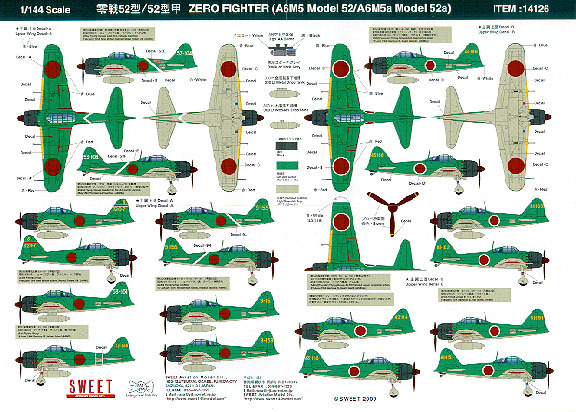 You can build the most famous types of ZERO fighter Type 52 and Type 52a. Original Type 52 was fitted with drum magazine fed 20 mm wing canons, then the belt fed canons were introduced from Type 52a. (Type 52 wing has a bulge for the drum magazine while 52a wing has a flush surface.) This kit includes both ZERO Type 52 wing and ZERO Type 52a wing. Finely molded parts; 0.3 mm thin clear canopy parts, landing gear structure. Larger engine cowling, shorter wing, separate exhaust pipes, etc., it captured distinguish Type 52 characteristics. For accessories, Metal drop tank, Wooden drop tank and Type 3 "Air to Air" bombs are included. Recessed panel lines and rivets. 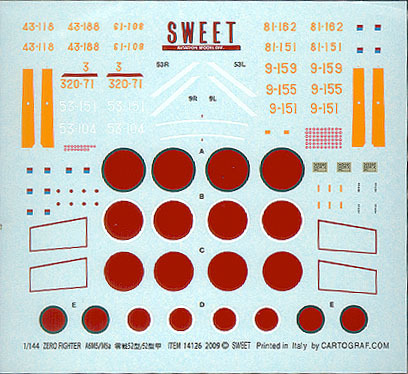 High quality decal, printed by CARTOGRAF in Italy includes eight Aircraft Markings for five A6M5 and three A6M5a. Parts are molded in Gray. A colorful marking guide is included. 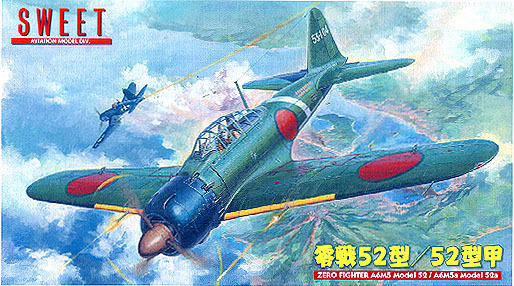 The box art featured the famous ace "Tetsuzo Iwamoto" intercepts a F4U over Raboul. The markings of his ZERO 52 are based on newly recovered reference. All the fine panel lines and rivets are engraved. All parts are clean-cut and sharply molded as Sweet Model Kit Standard. The landing gear wells are cut realistically deep and have the intricate inner details. This feature is often compromised even in 1/48 scale aircraft model kit.